students about everyday products that use locally-mined minerals directly, or products that are made from minerals, such as toothpaste! 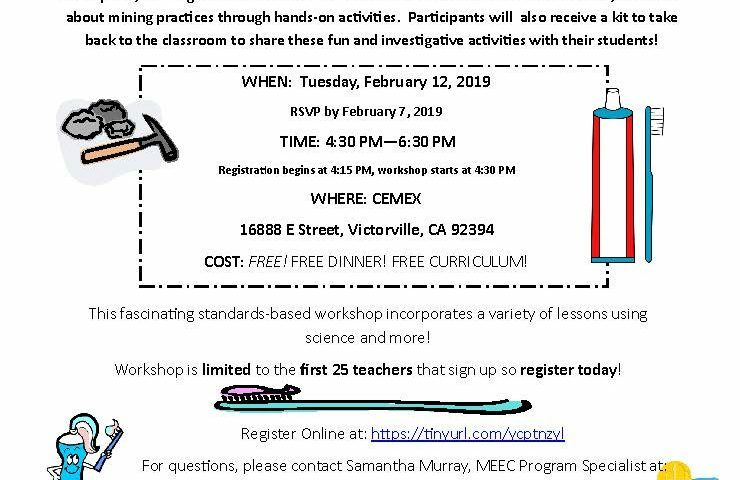 Teachers will learn how to make a “marketable” toothpaste, investigate minerals such as calcium carbonate and sodium bicarbonate, and learn about mining practices through hands-on activities. Participants will also receive a kit to take back to the classroom to share these fun and investigative activities with their students! COST: FREE! FREE DINNER! FREE CURRICULUM! This fascinating standards-based workshop incorporates a variety of lessons using science and more! 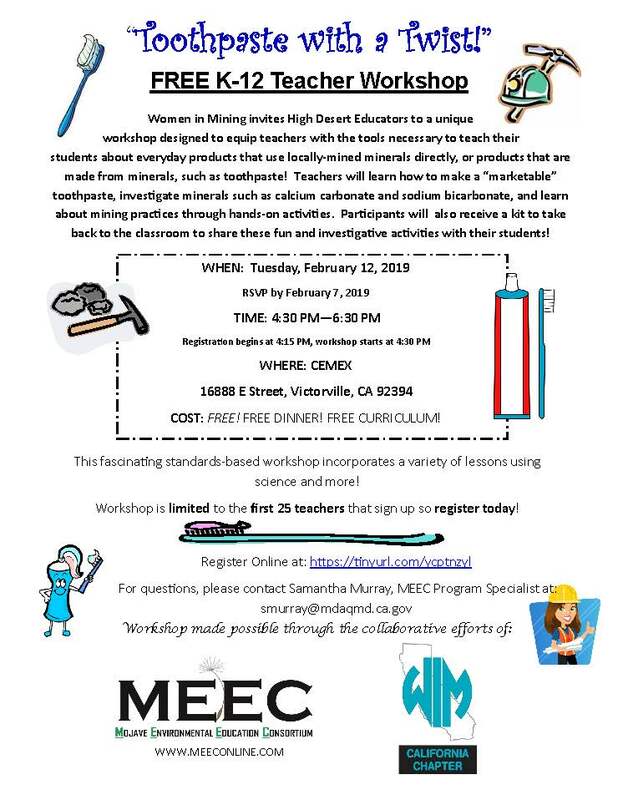 Workshop is limited to the first 25 teachers that sign up so register today! MEEC improves the environmental literacy of students, teachers, and communities of the Mojave Desert Region by actively providing educational resources.